Bull: Season One is a perfectly ‘fine’ legal drama but I was a bit disappointed as I liked Michael Weatherly on NCIS but here, the character hasn’t quite meshed, but with a second season on the horizon, more than enough time to find its footing. 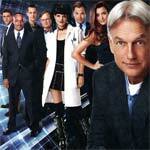 NCIS: The Thirteenth Season is another solid year for the venerable series and while not all 24 episodes were top level, more than enough were to make this one of strong years, however the departure of Weatherly’s DiNozzo will test the writers and cast as he is a hard actor and character to replace. 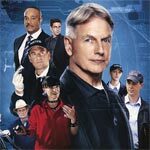 “NCIS”: The Twelfth Season is another solid year for the venerable series that excels mostly to the ensemble cast which, for the most part, has been together since the beginning. The stories also remain compelling with new and different obstacles for the team including a deadly antagonist to start the season out with a bang. Eleven seasons in and “NCIS” is still going strong, being able to do the same old, same old and yet switch things up with multi-arc episodes as well as giving its characters, even if little by little, development. The only drawback is the production values seem to be limited but I can overlook it for solid storytelling and, of course, the chemistry between the core cast. 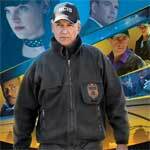 The ninth season of “NCIS” is one hell of a ride. As in previous seasons, the cast works so well together and the chemistry and dynamic is why the show has been as successful as had been the past couple of years. The storylines are getting richer including a multi-part finale which is fantastic. Titans: The Complete First Season Comes to Blu-ray on 7/16/19!